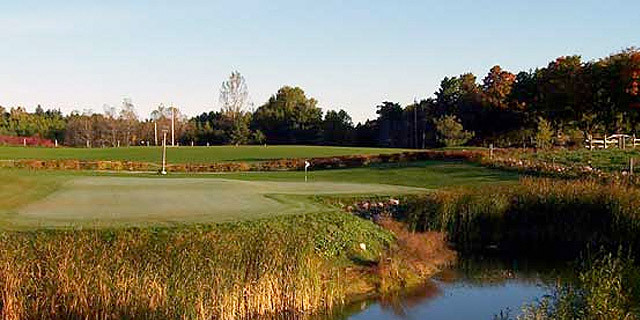 The Durham Region, east of Toronto, Ontario has some spectacular golf courses, including courses in Ajax, Bowmanvile, Brooklin, Claremont, Clarington, Cobourg, Lindsay, Peterborough, Pickering, Port Perry, Uxbridge, and Whitby. Hy Hope Golf Course is an executive eighteen hole course, at a measure of 3,256 challenging yards from the back tees. Wandering its way through farm pastures, orchards, many gardens and one of the most spectacular views in southern Ontario, Hy Hope Golf Course is one of the most interesting golf layouts in our area.